We have reviewed the delightful little volumes from Paumes before but none so delicious as their latest edition, Chocolats à Paris. The talented people behind Paumes visited the capital of culinary indulgence, Paris, to create the ultimate guide to chocolate. My first thought was how does one get such a good gig?! 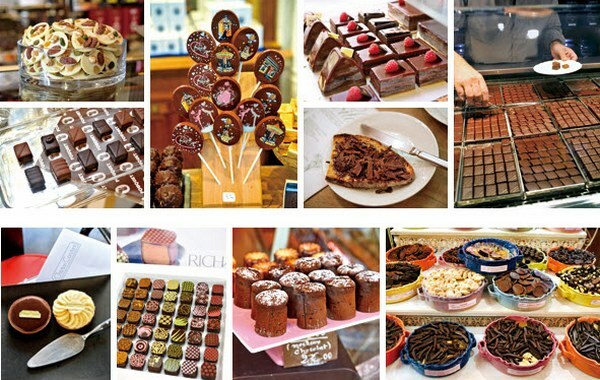 Delve into the book and discover all the delicious chocolatey secrets of Paris from the traditional ‘pain au chocolat’ to scrumptious desserts and handcrafted bite-sized morsels. Paumes books are the creation of a small, family-run Japanese publisher with access to many European artists and designers through work on various other projects. It should be noted that the text is in Japanese – this doesn’t detract from the book as the sumptuous photographs are guaranteed to please. 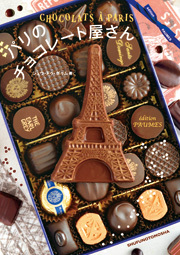 Chocolats à Paris is available directly from Paumes for ¥1800. Other Paumes titles are available in Australia from Lark and are $38 each.